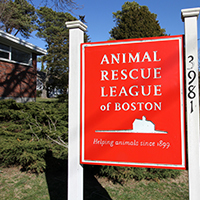 The Animal Rescue League of Boston (ARL) is an unwavering champion for animals in need, committed to keeping them safe and healthy in habitats and homes. 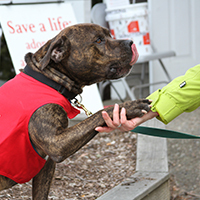 Founded in 1899, ARL provides high quality veterinary care, adoption, and rescue services; while also confronting the root causes of animal cruelty and neglect through innovative community programs, police investigations, and public advocacy. 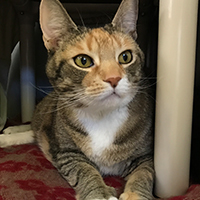 Today, ARL serves nearly 18,000 animals throughout Massachusetts. ARL is a non-profit 501(c)3 organization. 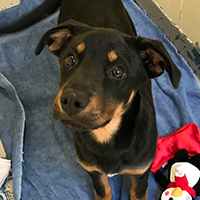 We receive no government grants or public funding and rely solely on the generosity of individuals to support programs and services that help animals in need. A history of caring on Cape Cod: Since 1921, ARL has responded to the needs of the Cape Cod community. 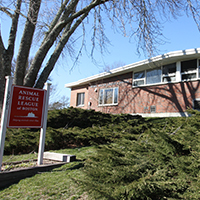 Originally located in Provincetown, in 1967 ARL moved to its current larger location at 3981 Main Street in East Brewster to accommodate even more companion and farm animals. 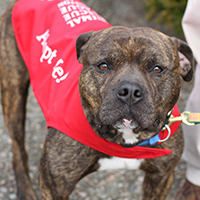 In 2009, ARL took its spay/neuter services on the road via its mobile surgical unit, The Spay Waggin’, to service animals and their families across Cape Cod and the South Shore.